The City of Prescott has awarded a water conservation rebate to Skyview School for their expanded rainwater harvesting system. 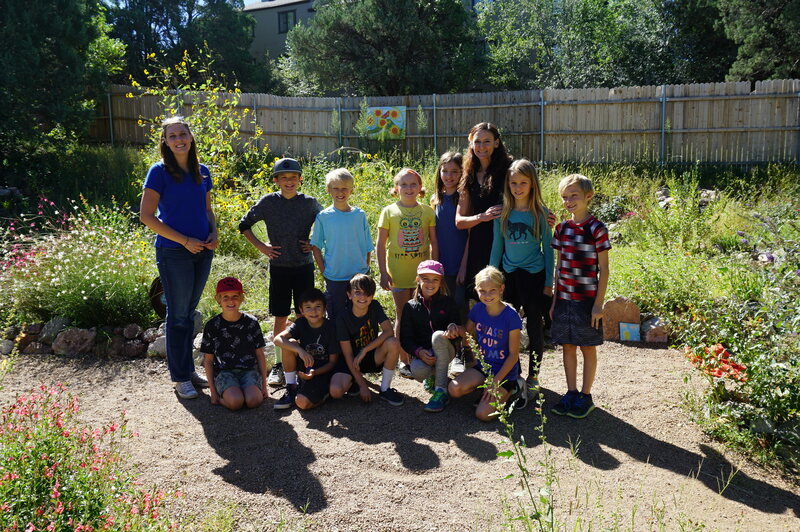 The Skyview School considers water conservation, as well as environmental and social responsibility as an important aspect to their curriculum. Over the last year Skyview has expanded their garden, landscaping a donated parcel of land with local plants, and water-retaining features. Starting from scratch, the students and staff created a forest garden that grows wild edibles and native plants alongside their traditional edible garden. The children then sell the food at their local farm stand on Wednesday afternoons. “Students took measurements of the roof and calculated how many gallons of rainwater could be stored over a one year period,” said teacher Ashley Fine. One of Ms. Fine’s students shared how they enjoyed seeing all the nature and wildlife that the gardens have brought to the school. The students were also proud that they recently received Best in Show at the Yavapai County Fair, for some of their tricolored carrots. The Skyview School gardens include both passive and active rainwater harvesting. In support of the City of Prescott’s mission to promote and support rainwater harvesting, the City has provided a rebate to the school utility bill for eight 550 gallon storage cisterns installed within the garden. The City encourages everyone to do their part and be WaterSmart! The Water Conservation Rebate Program is available to all City of Prescott water users. For further information, contact Leah Hubbard at the City of Prescott Water Resource Management at 928-777-1645, or visit www.prescottwater.com.